Kate Garraway is a presenter on ITV’s Good Morning Britain. Kate also presents a daily show from 10am – 1pm on Global Radio’s ‘Smooth’. Kate is also the face of BBC1’s National Lottery Show on Saturday nights. Having presented on GMTV & Daybreak for eleven years, in her previous role as Entertainment Editor for Daybreak, Kate has interviewed some of the biggest names in the world of entertainment, including Tom Cruise, Johnny Depp, Justin Timberlake, Nicole Kidman and Julia Roberts. Before GMTV, Kate was a main anchor on the Sky News breakfast show, Sunrise. Prior to joining Sky, Kate worked in BBC radio, with ITV news and presented Meridian Tonight, before being picked as one of the team of presenters to launch BBC’s 24-hour rolling news channel, News 24. In addition to her work on GMTV, Daybreak & Good Morning Britain, Kate has been involved in a wide range of other television programmes including BBC1’s Strictly Come Dancing. 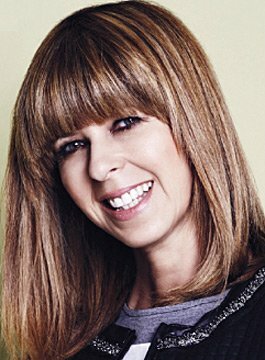 Kate Garraway is available for corporate awards hosting and facilitating.